Finally in First: First Grade Fresh Giveaway! 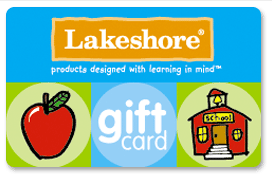 First Grade Fresh is hosting her first giveaway for a $20 Lakeshore gift card! Head over there to enter right now! Time game now with more cards!